2013 Giveaway Posters and Ads! We are really promoting out 2013 mineral giveaway this year. 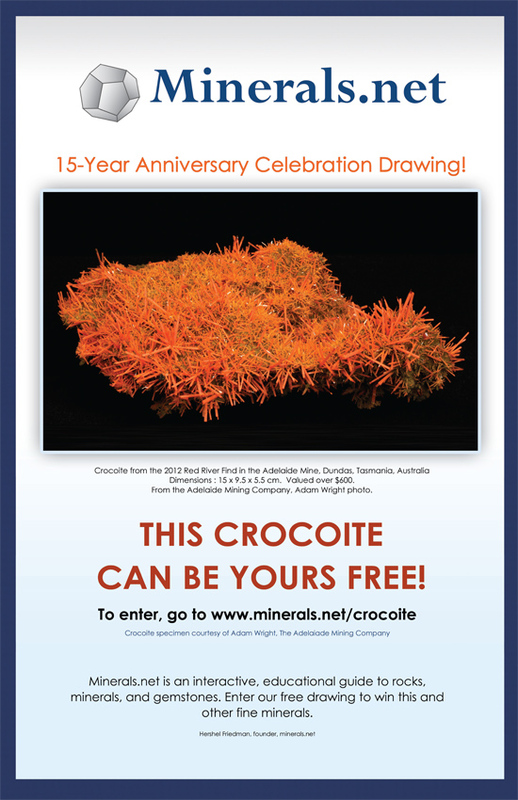 We put a full page ad in both The Mineralogical Record Magazine and Rocks and Minerals Magazine. We are also going to have posters promoting the giveaway at the Tucson show at Rob Lavinsky's booth at the main TGMS show, at the Kristalle and Crystal Classics room at the InnSuites, and at Adam Wright's Crocoite room at the InnSuites. 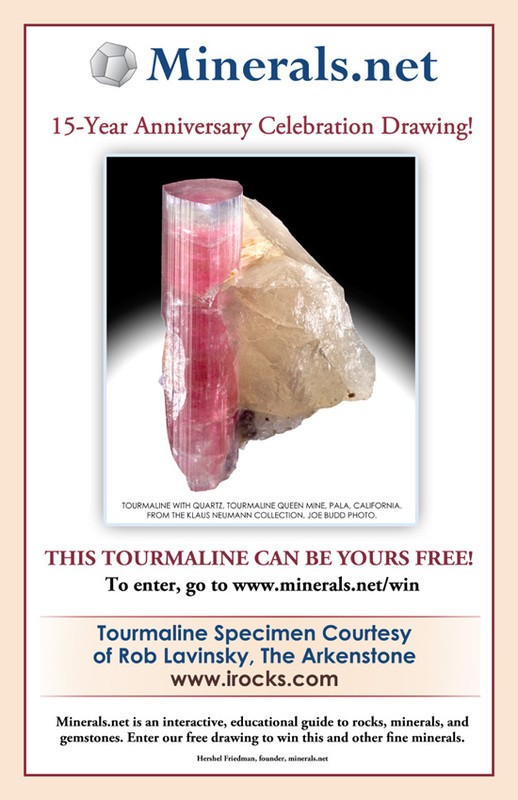 We have blasted our New Years edition of the Minerals.net online newsletter.